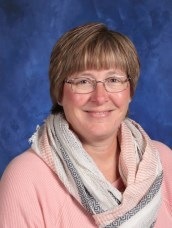 Beth has worked as our school’s accountant since March of 2001. She began on a part-time basis and assumed full time responsibilities in 2002. Beth’s previous professional experience includes 10 years as the Director of Finance and the Director of Operations for the Consumer Credit Counseling Service of Stark County, Inc. She also worked 2 years as the assistant to the Treasurer of the Fred Olivieri Construction Company. When Beth is not working, she enjoys playing golf, reading and baking with her kids.